In my rambles, I've sometimes noticed that handicapped parking isn't always as convenient as it ought to be. For instance, in one vista point up on Skyline Blvd, there's a handicapped parking sign way off in the bushes and down the hillside, far away from the parking lot where everybody else parks. 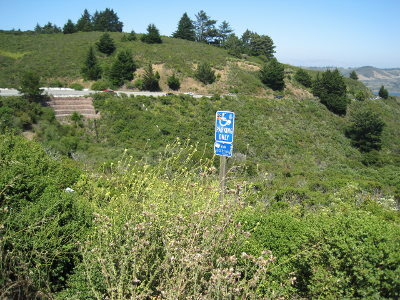 Makes me wonder how you'd get a wheelchair through all that coyote brush. 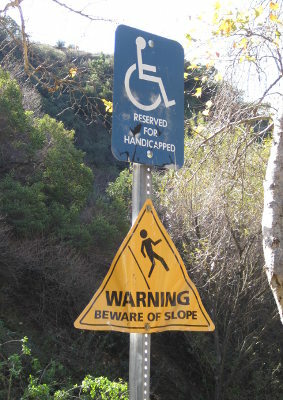 Or this sign, in the Verdugo mountains. I'm not sure I'd want to park in a spot that needed a warning sign like that!